Select Hilarious Keynote Speaker Tim Gard, for your next event! Learn to see the world the way Tim does and discover how easy it is to re-frame your perception and create a more positive reality. Customized for every client, Tim offers an engaging, entertaining and enlightening variety of opening and closing motivational keynote speeches. Companies and Corporations of all sizes and industries around the globe call on Tim for tailored workshops and training seminars. A Professional Speaker for more than 20 years and Hall of Fame Member, Tim provides the best in speaker coaching and one on one speaker training. Amazing and inspiring! Can’t wait to use my new skills. So often our jobs are stressful and serious. This was a much needed healthy change! Tim is a knock-your-socks-off, genuinely funny guy. Outstanding, memorable performance. What impressed us most was your ability to tailor your program in such an exact and appropriate manner. Tim Gard was evaluated as the best speaker we have ever had! Our audience, vastly composed of engineers, was laughing from start to finish. An influential and unique message on understanding humor as a stress reduction tool – my Team and I are still talking about how much we laughed! Thanks again for making me look good and turning up the excitement for our customers with your wonderful stories and life strategies using humor and a different perspective. 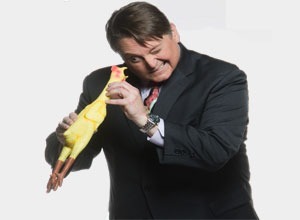 I wish I could tell the world: "If you are planning a meeting and need someone who will bowl your audience over with laughter, while delivering a message, please do yourself a favor and book Tim Gard!" 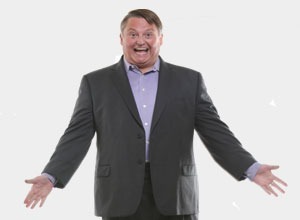 Tim Gard, CSP, CPAE is a FUNNY Motivational Speaker & Corporate Entertainer. 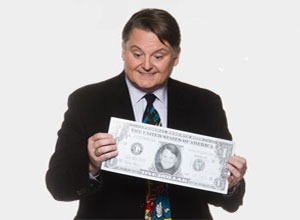 His terrifically humorous keynote presentations & workshops are filled with unique stories & extraordinary visual tools creating an unforgettable learning experience for audiences of all types. ©2018 Tim Gard International. All Rights Reserved. Exclusive Stories & Fun for Subscribers Only! Fast & Easy to Register! We just need your email address to send you Tim’s Newsletter!